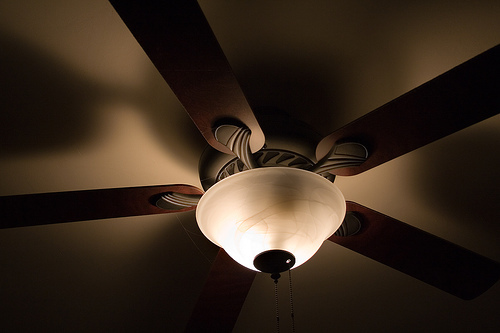 Home Costs > How Much Does Lowe’s Ceiling Fan Installation Cost? How Much Does Lowe’s Ceiling Fan Installation Cost? Lowe’s, like most big box retailers, will install your ceiling fan after a purchase, and as long as you purchase the ceiling fan directly from Lowe’s, they will be more than happy to install it for a fee. The costs of having Lowe’s install a ceiling fan will depend on if the ceiling fan is going to be replaced or installed in a new location where no ceiling fan is present. If the ceiling fan is going to be replaced, the costs will be around $100, but if a new ceiling fan needs to be installed in a new location, the costs will be closer to $250. This is the price per fan, and the costs will depend on the time of the season and promotion going on at the time. According to this Porch.com profile, a local Lowe’s had ceiling fan projects that ranged anywhere from $100 to more than $2,000. Before an install date can be set, you will be required to pick out a ceiling fan from Lowe’s inventory in order for it to be eligible for an install. Once a fan is purchased, an associate will set up an install date and have you sign a contract to confirm the appointment date. The installation job will be outsourced out to a local licensed and insured electrical company that is approved by Lowe’s. Be sure to look out for special promotions or even wait for them as it’s not uncommon for Lowe’s to offer ceiling fan installation deals throughout the year. Refer to their official website for the current promotions being held for most installation jobs. Compare other hardware stores and get at least three quotes. Many local electricians will let you purchase the ceiling fan on your own and will install it for a minimal fee, often much cheaper than what Lowe’s will charge.